If you watched the recent Netflix release of Black Mirror: Bandersnatch, you were treated to a new kind of entertainment experience. If you aren’t familiar with the movie, it’s about a young programmer in the 1980s named Stefan who is creating a video game that lets you choose your own path. Keeping in with that theme, the viewer is presented with choices for Stefan to make at different points in the film. The story changes based on the viewer’s choices, creating several alternate endings. Do you want him to work at home or with his new teammates? What type of breakfast cereal should he eat: Frosties or Sugar Puffs? Should he get on the train or stay home? Bandersnatch viewers are in control the entire time and can even go back and make changes to the story to watch a different outcome. Interactive storytelling like this is poised to impact the way we consume media, but the movie also serves as a great example of how to implement effective, personalized training at the corporate level. Some of the most effective training courses are self-paced rather than rigid. Learners don’t all work the same way or at the same speed, and allowing for more flexibility will ultimately benefit your company. At the beginning of Bandersnatch the viewer is given instructions on how the viewing process works. It walks you through the process in an easy-to-understand format. It even gives you a timer that prompts you. This interactive demonstration feels like part of the film and it’s clear that the viewing experience depends upon it. The goal? You quickly get the hang of what is expected in a memorable way. Contextual learning provides benefits for both instructors and students. In your own course training and materials you can easily include audio or video recorded instructions for the learner, as well as supplemental training materials that are appropriate for each course. This hands-on training approach lets you learn about your students’ preferences and engage them at the very start. By giving them both contextual and control options, learners are instantly part of the process and less likely to lose interest. At times in Bandersnatch the viewer might make a choice leading to a swift end to the story, in which case the viewer is directed back to that last choice and given the opportunity to change it. This story technique turns the viewing experience into a repeatable process and you remember the story easily. Not satisfied or want to see a different outcome? Simply go back and choose again. To some this can feel redundant but the pay off comes when you watch a new ending or learn new information. Some learners need to repeat sections to improve comprehension and commit the course information to memory, or they may want to go back to previous topics during later modules as they learn new details. Try to offer the user flexibility to move back and forth as necessary to optimize their experience. The more you do this, the better trained the student becomes, resulting in greater efficiencies and productivity within your organization. With Bandersnatch, gamification is both the format and the plot of the movie. It’s a choose-your-own-adventure movie about a choose-your-own-adventure video game. Bandersnatch is the personification of meta moviemaking. Making choices for Stefan’s character is tremendously rewarding for everyone who has ever screamed at a movie screen for the protagonist not to open the door or run up the stairs when trying to escape the house. Watching what happens after you choose keeps you engaged longer as you are incentivized to continue picking different combinations to unlock new story elements. Virtualized training should follow suit, and can easily incorporate realistic scenarios and actual games to test user comprehension without risk. This can be particularly effective for cybersecurity training with no fear of compromising assets. If you don’t have the resources to add fully developed games to your training, start first by creating rewards for moving through your modules. Give the learner a chance to “level up” their skills or receive completion badges and upgrade designations. Nothing special is required to watch Bandersnatch. Compatible devices simply stream the video as usual without the need to install any special plugins or read complicated instructions, and making choices is as simple as tapping a screen. 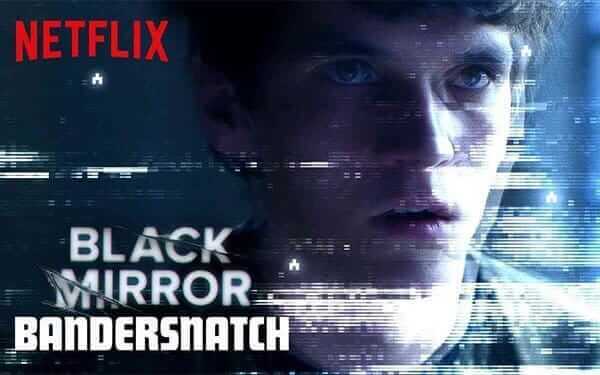 And like other Netflix content, Bandersnatch is available to watch on demand, allowing you to pick up where you left off if you need to come back to it. Aim to make your learning environments personal but without requiring the IT team’s involvement by customizing your content with advanced, user-friendly templates. Learners should also be able to access the training at any time with a simple login or start it with one click, rather than hunting through a complex series of authentication steps or software downloads, which could leave them frustrated before they even begin. Black Mirror: Bandersnatch represents a new application of technology to enhance entertainment, just as your training labs can help your employees take a leap forward. An effective virtual training program supports revenue growth as more users gain valuable skills with a low cost per user. Curious about which Bandersnatch endings we chose or want to learn more about our self-paced virtual IT labs solutions? Sign up for a demo at your convenience. We look forward to learning whether you are a Frosties or Sugar Puffs fan!